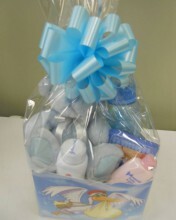 Create a wonderful basket full of little boy items and have all the other guests jealous they weren't so creative! We won't tell your secret. Click the button below to add the Bundle of Joy, Boy! to your wish list.